Learn step-by-step processes which spell SUCCESS for our students. From technical skills in advanced haircutting, styling and hair coloration to refining your business practices and planning for your future, our experienced team of professionals lead the way. The result? A well-rounded, technically prepared and confident hair professional. The mentoring program guides every new hairstylist to set goals and to find the perfect job and your path to success in the Beauty Industry. Introduction to The Comb - Our patented tool is the most precise cutting instrument available today. Base Level using 0° - Learn four foundational haircuts. This is the most popular class we teach at beauty academies. It introduces students to our tool and precise cutting methods. Taught on-site at the academy by our experienced educators using our manual, students begin to build skills and confidence as they prepare to pass the state board exam. Students completing our Academy training course and recent graduates and experienced Hairstylists will experience. 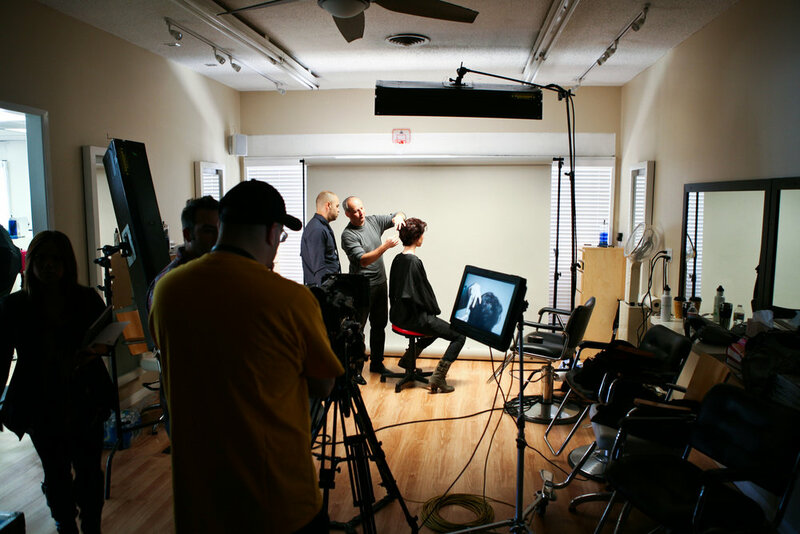 Students will take the first steps to achieve Master Stylist certification and take their skills and understanding of haircutting to a new level. We apply Science , Technology , Visual mathematics and introduce hair diagramming as part of the design process. Our Master Educators have acquired their knowledge by completing our Five Levels of training and have been working in the industry for decades in some cases.